Born on January 13, 1943, in Kaunas, in the family of employees. Studied in Salomėja Nėris Secondary School in Kaunas; in 1965, graduated from Kaunas Polytechnic Institute, the Faculty of Chemical Technology. She worked as an engineer in the Anykščiai Drainage Pipe Plant and as the Manager of Production at the Raseiniai Brickyard. During 1967–1979, a scientific worker of the Thermoinsulation Scientific Research Institute; in 1985–1991, a constructor at the Amelioration Construction Technological Trust. In 1968, she got involved in the expanding ethnography movement and became an active member of the Ramuva Ethnography Club, established in 1969. From the beginning of 1971 to its cancellation, the chairman of this Club. In 1971, she with like-minded persons set up the Raskila Folk Song Club, operating until now. During 1973–1974 and in 1976 she was interrogated by KGB, but continued her activities further. Maintained contacts with Moscow dissidents and provided them with information about the events in Lithuania. She was concerned that families of political prisoners would receive a support from A. Solzhenitsyn Relief Foundation, collected signatures and signed several protests and letters addressed to the Soviet authorities concerning the violation of human rights. In 1988, she started working actively in the Commission for Research of Stalinism Crimes of the Lithuanian Revival Movement. After the Commission in 1991 became the Research Centre for the Reprisals in Lithuania (RLTC), she headed it during 1992–1997. 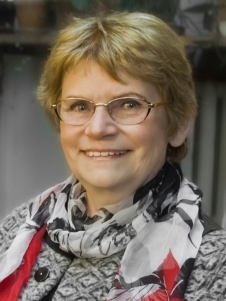 In April 1997 after the RLTC was joined to the Genocide and Resistance Research Centre of Lithuania (LGGRTC), she worked as the head of the Archival Lists of Names Department. Under her guidance, five books “The Genocide of Lithuania’s Residents” were prepared and published. From 1998, she is the coordinator of the international project “Eastern Europe – a Common Fate” in Lithuania. One of the founders of the Relief Foundation for Investigation of the Communist Crimes. Within 2000–2007, she worked in the commission for evaluation of the activity of persons who secretly collaborated with the former USSR special services. From January 20, 2009, the director general of the Genocide and Resistance Research Centre of Lithuania. She participates in international conferences, delivers reports and publishes articles in LGGRTC journal “Genocide and Resistance” and foreign publications. In 2003, she was awarded the Cross of the Knight of the Order of Vytautas the Great, in 2012, awarded the Cross of Commander of the Order of the Lithuanian Grand Duke Gediminas. In 2007, granted the status of a freedom fighter.